Wow! 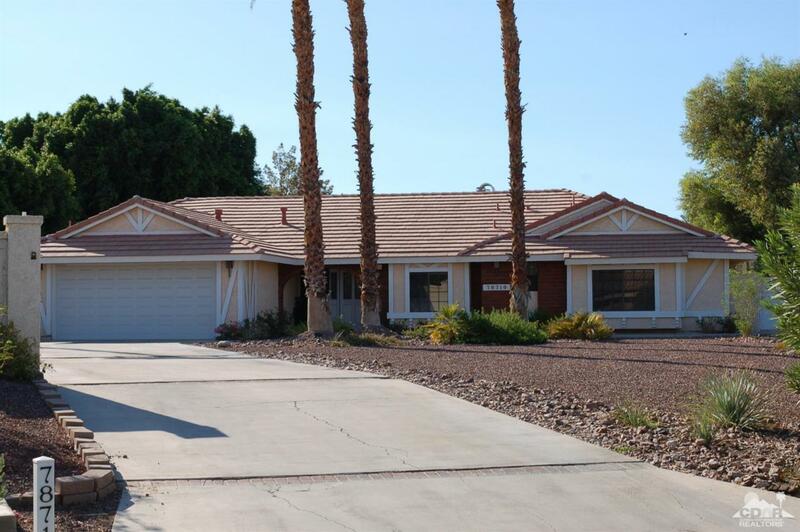 Don't miss seeing this custom built Bermuda Dunes Country Club home located on a large private lot on a quiet cul-de-sac! 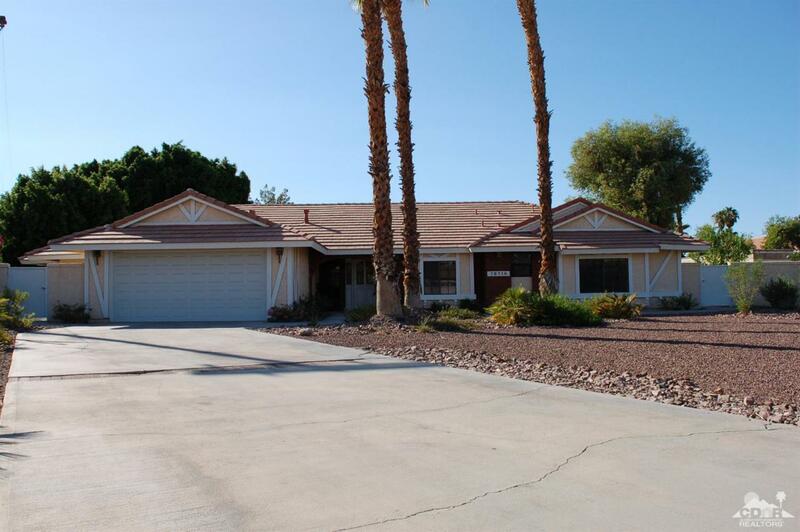 Almost 2,400 square feet with 4 large bedrooms and 3 bathrooms with two master suites on opposite ends of the house (perfect for aging relative)! 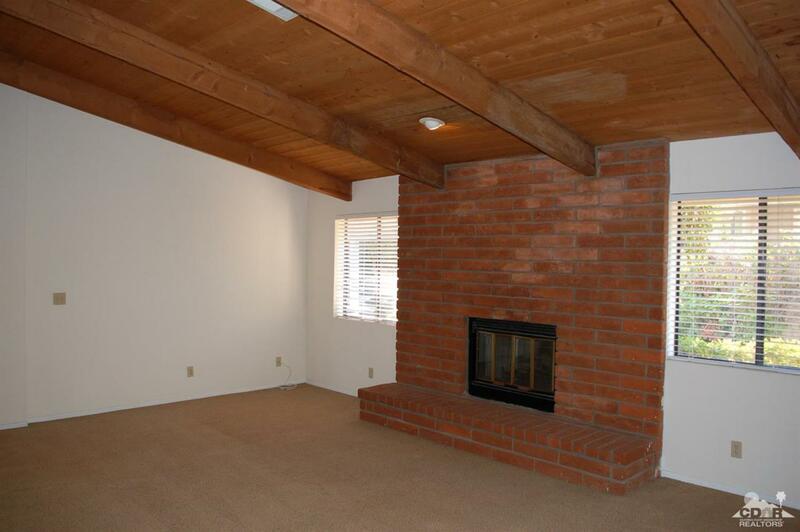 The large living room has vaulted, beamed, T&G wood ceilings & a raised hearth brick fireplace. 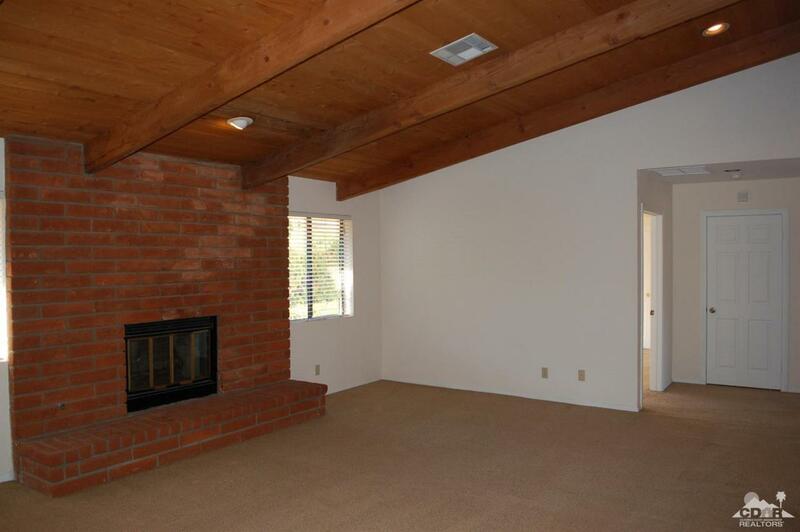 There is a family room & formal dining area with cathedral ceilings & sliding glass doors to the rear patio located just of the kitchen with an eating bar, lots of wood cabinets & counter space & a large service/storage/office area with a second sink & built-ins. Each master suite has a large closet, ceiling fan and exits to the rear or side yard plus a private bathroom with walk-in tiled showers. Bedroom #3 also has direct access to the rear yard. Other features include a flat tile roof, covered rear patio, 2 car finished garage with opener, huge laundry room with cabinet & sink, all 36 inch doors, block walls and MORE!